Keeping your back in a neutral or slightly arched position is good form when you’re training with heavy loads. After all, rounding your back when you’re doing squats, deadlifts, or bent-over rows can damage your spine. 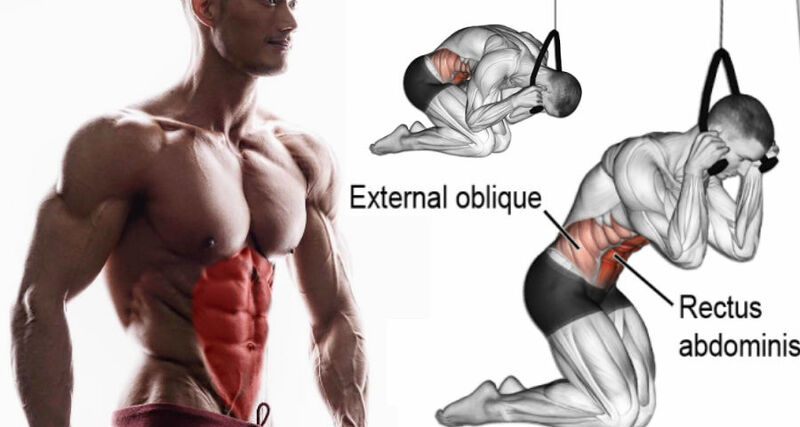 But the problem with maintaining an arched back on ab day is that it prevents you from actively contracting your rectus abdominis (RA) muscles through a full range of motion. If you can’t contract your main ab muscles, you’re not getting any closer to that rippling six-pack. For abs, you need to round your back to unlock the arch in your lumbar spine, which enables you to shorten the RA muscle fibers—especially those in the upper RA region. The lower back muscles (erectors) are antagonists to the rectus abdominis: when one is contracting, the other is being stretched. If the erectors can’t stretch, the abs can’t contract. And if they can’t contract, they can’t grow. It’s as simple as that! This mistake is subtle enough that a lot of people keep making it until someone points it out. 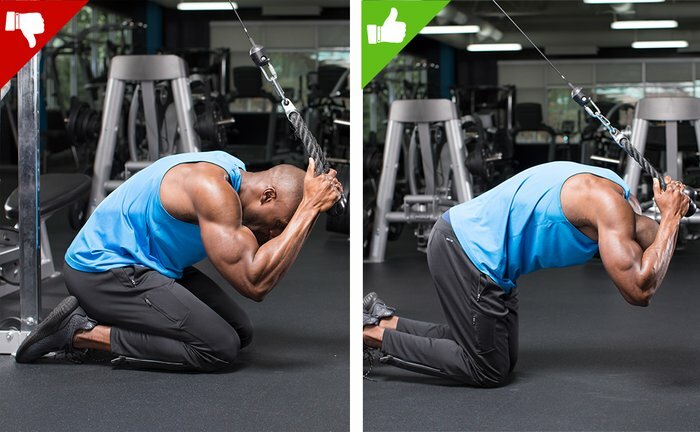 To make sure you’re working just your abs, hold the rope ends in the same position relative to your head as you go through the entire range of motion on each rep. Don’t let the rope drift up away from your head on the negative, upward portion—only to pull it back down next to your head as you contract. Don’t let your lower body sink back and down as you approach the floor. 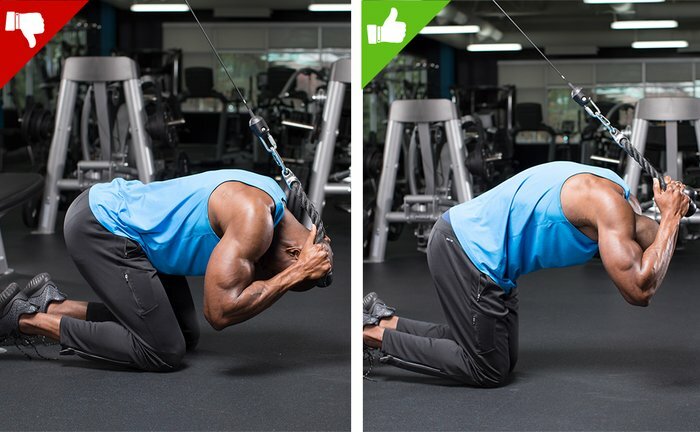 You lose the isolation on your abs by engaging your shoulders—and by sinking your hips down onto your legs to complete the crunch. Your lower body should be rock solid to ensure movement takes place only in your abs.